Published online weekly. Covers all of Smith County, Texas. Get instant online access to new business filings via Assumed Name Certificates for Tyler and all of Smith County Texas. 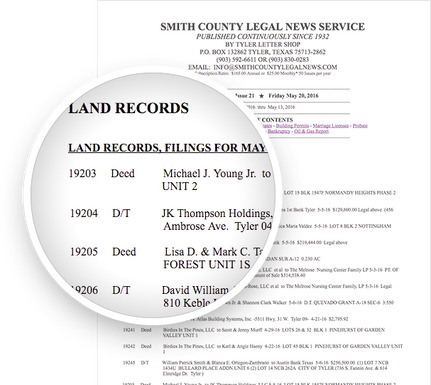 Assumed Name Certificates found in Smith County Legal News provides the subscriber with a database offering new business contact information that can benefit a number of area business owners.